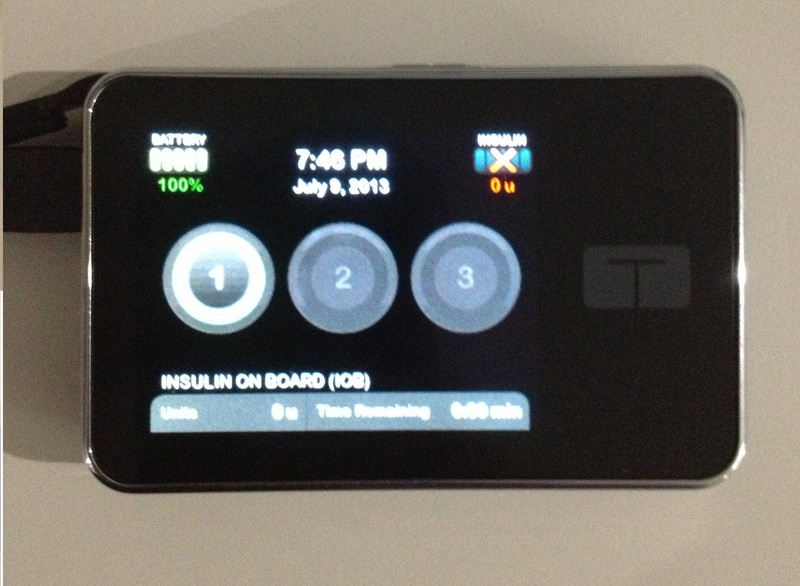 This entry was tagged Blood sugar, Bolus (medicine), Diabetes mellitus, Insulin, Insulin pen, insulin pump, micro-delivery system, pump, t:slim, tandem, touch screen. Bookmark the permalink. Hi!! I’ve just discovered your blog & I LOVE it!! You are very articulate & aren’t afraid to chronical your new T1D. Way to go!! I too have a new T1D diagnosis & although I’m a tad older than you, OK maybe more than a tad, but I have many of the same issues you are having, so thank you for being so honest here!! I’m psyched that you love your new T-slim pump!! Isn’t pumping AWESOME!! I got a Medtronics Revel in APril & I’m loving the freedom the pump gived me. No more living on a set schedule w MDI’s. I hope you continue to enjoy ur pump & CGM and keep us updated on your progress. Good luck in September on your ride! !